Please note: The digital edition does not include 4 of the 23 images that appear in the physical edition. In the spring of 1900, British archaeologist Arthur Evans began to excavate the palace of Knossos on Crete, bringing ancient Greek legends to life just as a new century dawned amid far-reaching questions about human history, art, and culture. 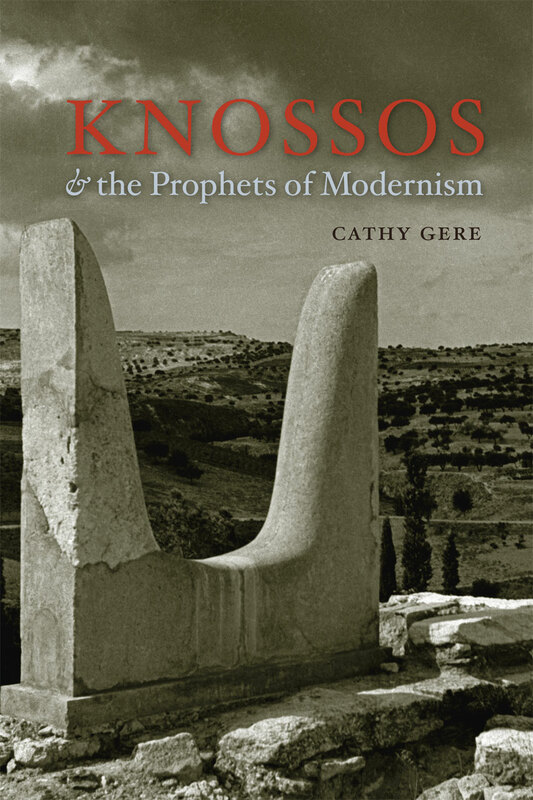 With Knossos and the Prophets of Modernism, Cathy Gere relates the fascinating story of Evans’s excavation and its long-term effects on Western culture. After the World War I left the Enlightenment dream in tatters, the lost paradise that Evans offered in the concrete labyrinth—pacifist and matriarchal, pagan and cosmic—seemed to offer a new way forward for writers, artists, and thinkers such as Sigmund Freud, James Joyce, Giorgio de Chirico, Robert Graves, and Hilda Doolittle. Assembling a brilliant, talented, and eccentric cast at a moment of tremendous intellectual vitality and wrenching change, Cathy Gere paints an unforgettable portrait of the age of concrete and the birth of modernism. "An excellent account. . . . Fascinating. . . . I am indebted." "[A] brilliant study of the role of Knossos in twentieth-century culture. . . . Gere writes with clarity and wit, but she never sacrifices the fascinating complexity of her tale to a simple story line." "Gere develops a stunning study of the cultural impact of Evans’s interpretation of Minoan society as a pacifist haven inhabited by immigrants from Anatolia, Egypt, and Libya. . . . . Gere’s aim is not to criticize or defend them. Instead, she attempts to understand the archaeologists, architects, artists, classicists, writers, and poets who reconstructed Minoan Crete in our time. And she does so brilliantly." "In this original, most readable, and at times mesmerizing book, Cathy Gere provides an historical and intellectual context for Arthur Evans’s discovery and reconstruction of Knossos and Minoan civilization. . . . I think there is something of this wondrous quality in Gere’s ability to discover links, connections, and underlying meanings in a dazzling array of archaeological, literary, and artistic works as well as between past, present, and future."